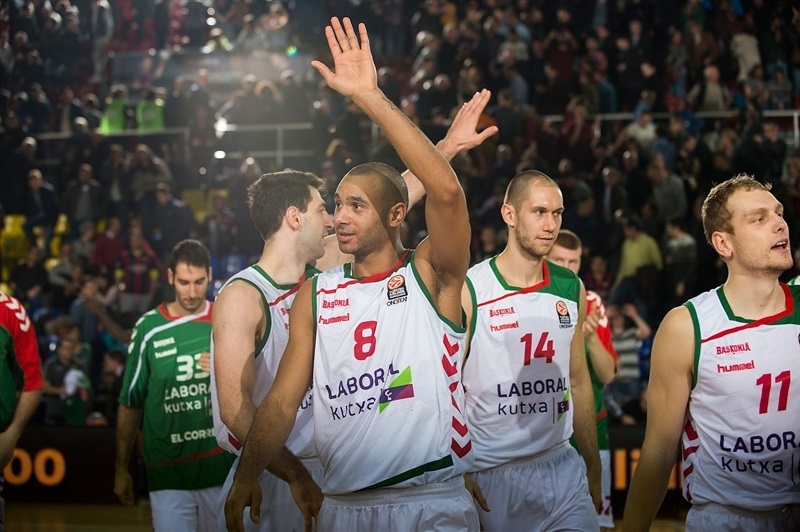 Laboral stops host Barcelona in OT! 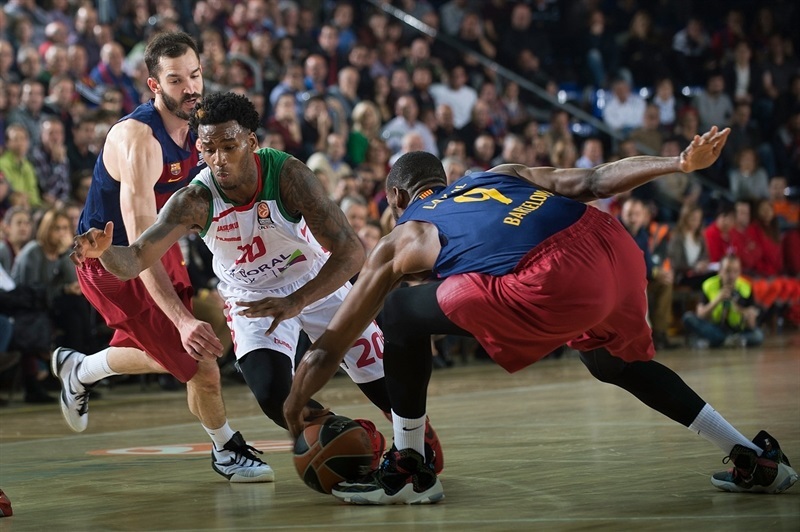 Laboral Kuxta Vitoria Gasteiz handed FC Barcelona Lassa a rare and potentially costly home defeat in the Top 16 Group F with an electrifying 78-81 victory in overtime on Friday. 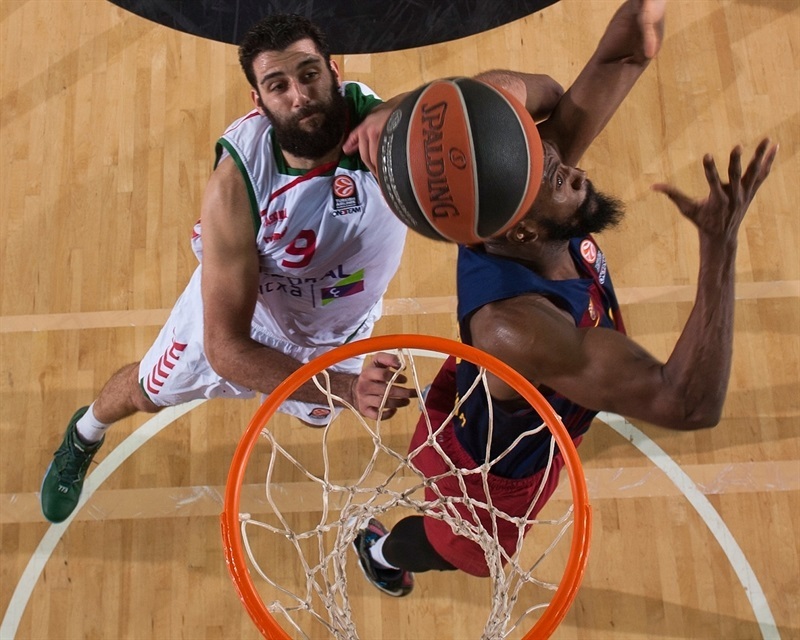 Ioannis Bourousis collected 24 points and 8 rebounds for Laboral, which has now given Barcelona its only two losses in its last 41 home games in the Top 16. Darius Adams added 17 points including the three-pointer to force overtime, while Toko Shengelia had 11 points and Jaka Blazic scored 10 for Laboral, which improved to 3-2 in Group F despite wasting a 13-point third-quarter lead. Barcelona erased the deficit but failed to get the win in the extra session, dropping to 2-3 in the group. 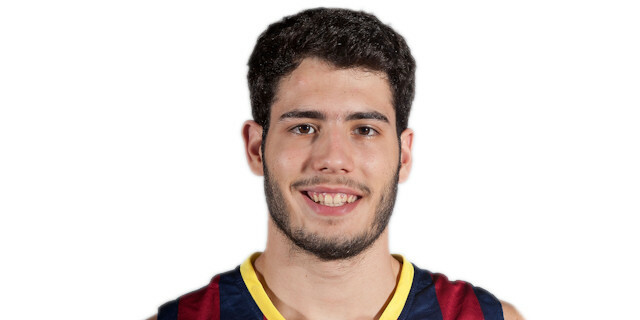 Alex Abrines scored all 21 of his points in the final 16 minutes of play while Stratos Perperoglou had 10 points and Tomas Satoransky picked up 8 points, 5 assists, 2 steals and 3 blocks. Shane Lawal chipped in 6 points and 10 rebounds in the loss. 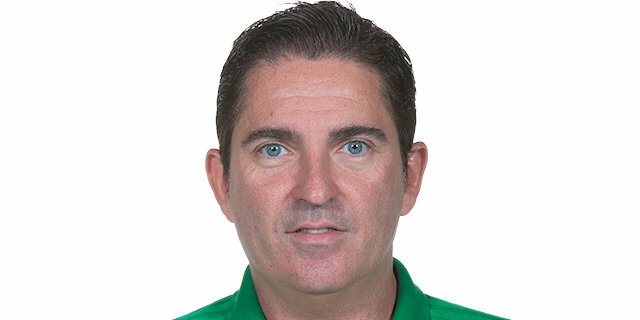 Barcelona coach Xavi Pascual did not make any changes to his starting line-up with Satoransky, Juan Carlos Navarro, Perperoglou, Justin Doellman and Ante Tomic getting the nod. 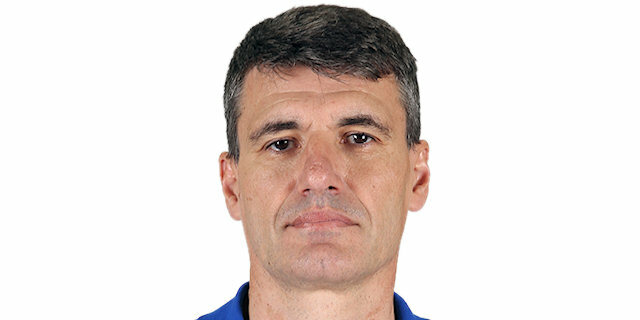 Laboral’s Velimir Perasovic also kept the same first five with Adams, Fabien Causeur, Adam Hanga, Shengelia and Ilimane Diop. Perperoglou started the scoring for the hosts, putting in a pass from Tomic. Diop answered for Laboral at the other end with a jumper. Both teams were producing on offense early with Causeur driving for a lefty layup and Shengelia grabbed the rebound and went coast-to-coast for the layup and a 4-6 Laboral lead. Doellman and Perperoglou both hit jumpers to even it at 8-8 before Hanga nailed a long three-pointer off the left wing and Adams went off the glass for an 8-13 lead. That was with 3 minutes to play in the quarter and Barcelona did not let the guests score again in the period. 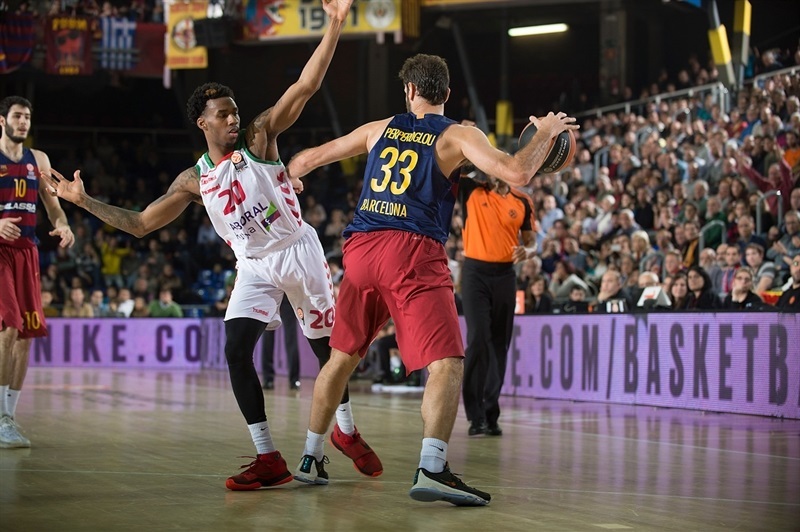 Brad Oleson and Satoransky both made 2 free throws and Oleson nailed a three-pointer with 3 seconds left on the clock as Barcelona was ahead 15-13 after 10 minutes. Bourousis proved difficult to stop early in the second quarter with Laboral’s first three baskets, which were matched by an offensive rebound put-back from Samardo Samuels, a steal and breakaway dunk from Pau Ribas and an Oleson lay-up to make it 21-19. Four free throws from Blazic put Laboral ahead up 21-23. After Samuels knotted the game with 2 free throws, Kim Tillie scored and Blazic hit a put-back as the lead was 23-27. A scoop shot and 2 free throws from Perperoglou evened the game at 29-29. Satoransky missed two free throws and the chance to give the hosts the lead and Adams’ layup just before the buzzer had Laboral leading 29-31 at intermission. 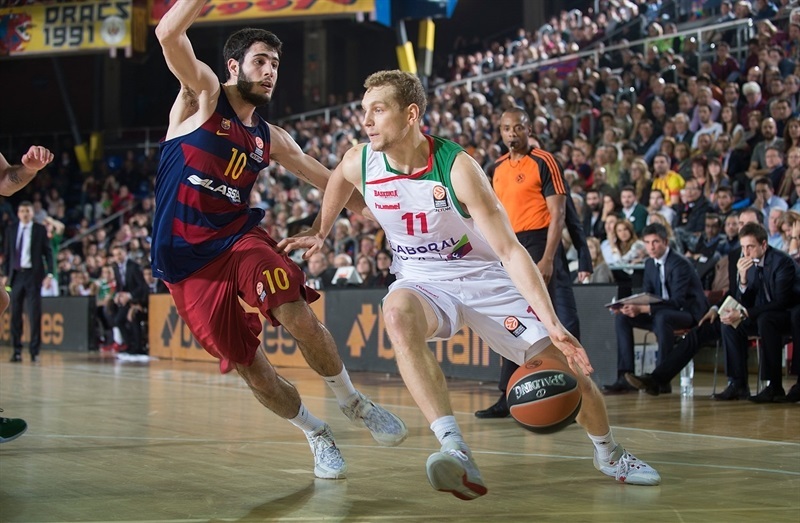 Doellman started the second half with a three-pointer to put Barcelona ahead. Shengelia came up with a dunk and finger roll while Bourousis and Adams both knocked down three-pointers in a 2-10 Laboral spurt to put the guests up 34-41. 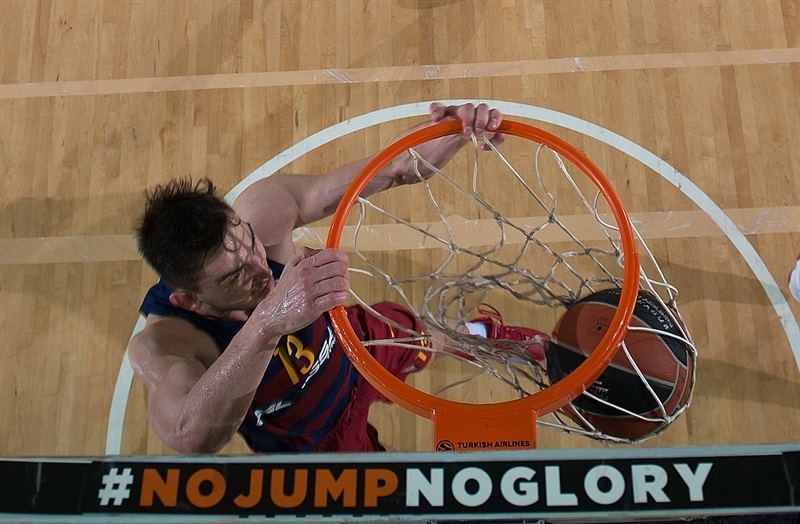 Tomic and Satoransky were able to score for Barcelona to pull it to within 38-45. But Bourousis added 4 more points and Shengelia converted again in the paint in an 0-8 run as Laboral was leading 38-51 – forcing a Barcelona time out. Abrines came on and was a spark with 4 points – including a big dunk – and an assist on Lawal’s alley-oop to cut the deficit to 44-51 after 30 minutes. Abrines hit a lay-up to start the fourth quarter and trim it to 46-51. 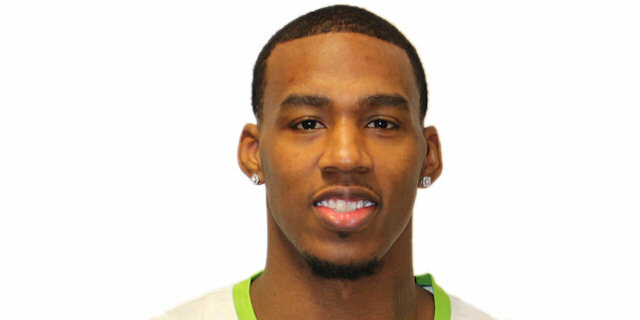 Mike James answered with a big dunk for Laboral. Blazic got a tip-in and Bourousis made 2 more baskets as Laboral was still ahead 53-61. Aleksandar Vezenkov beat a shot clock with a long three-pointer and Satoransky picked up a steal and a dunk to cut the gap to 58-61. Bourousis responded inside with a classy move but the margin was 62-63 after 2 Abrines free throws and another Satoransky steal and dunk. Blazic and Adams both hit for Laboral, which was clinging to its lead 64-67. But Abrines knocked down a long two-point jumper and Lawal tipped in his own miss to finally put Barcelona back ahead 68-67. And Ribas’s jumper made it 70-67 with 20 seconds to play in regulation. After a Laboral time out, Bourousis missed a three-pointer but Shengelia grabbed the offensive rebound and kicked out to Adams, who nailed the game-tying triple with 11 seconds left. Vezenkov drew iron but missed the potential game-winner at the buzzer. Abrines gave Barcelona the lead to start the overtime. 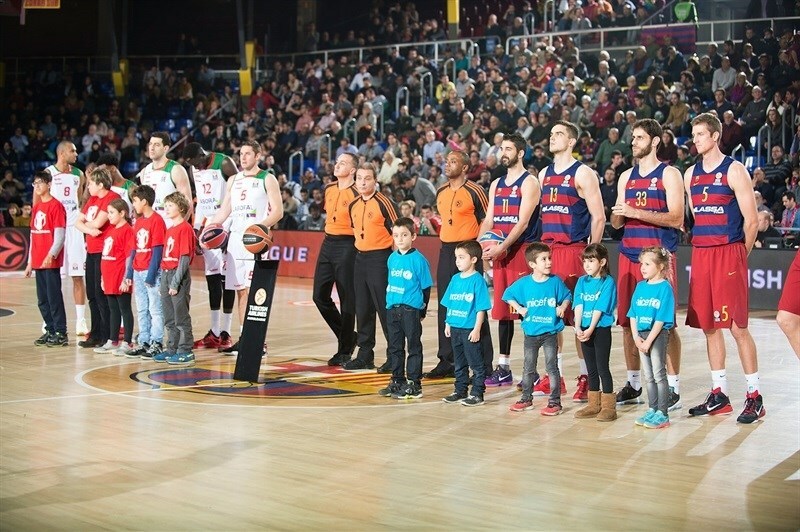 Causeur answered at the other end and Barcelona came up empty on its next four possessions while Adams hit a tough layup and Shengelia and Bourousis both split a set of free throws as Laboral led 72-76. 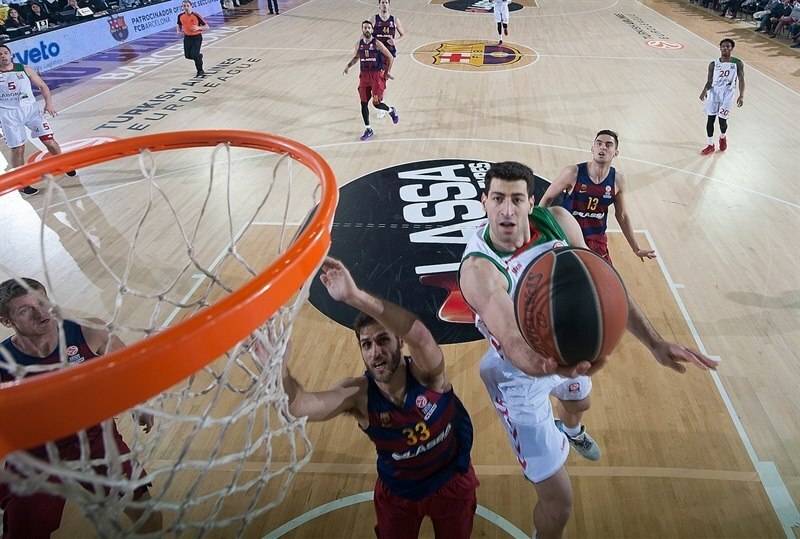 During that spurt, Bourousis blocked Abrines to overtake former Laboral center Mirza Begic for sole possession of second place in competition history with 163 career blocks. Abrines snapped the scoreless stretch with a three-pointer to make it a one-point game. Adams came back at the other end for a tough layup in the paint and then hit a free throw with 17 seconds for a 75-79 advantage. 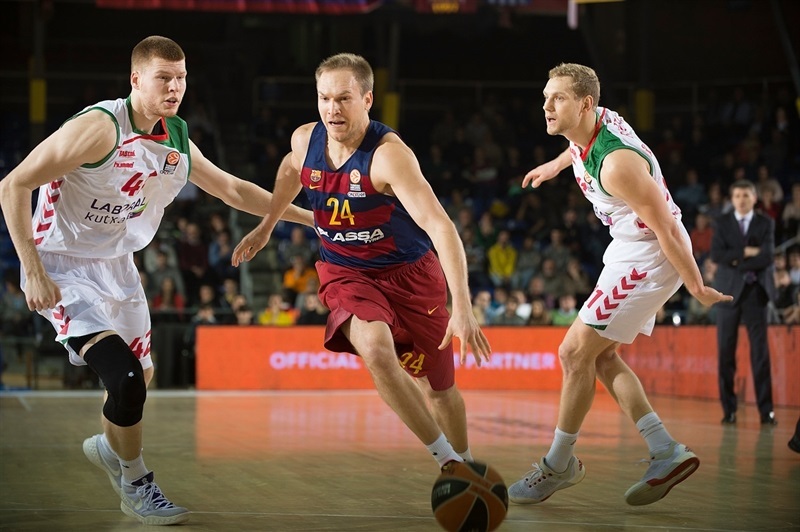 Barcelona would not go down without a fight and Vezenkov nailed a three-pointer with 9.8 seconds remaining to bring the hosts within 78-79. 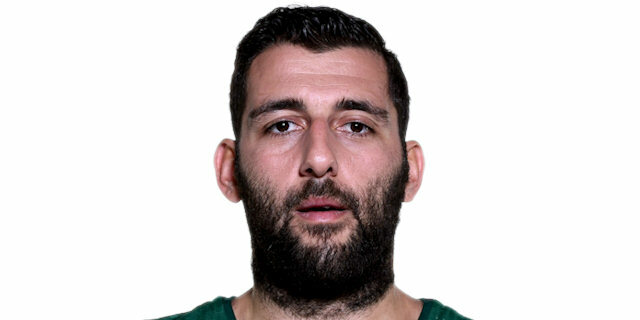 Bourousis was fouled with 9.5 seconds left and made both of his free throws to make it a three-point game and Ribas missed the potential game-tying three-point attempt with 4 seconds remaining. "I congratulate Laboral Kutxa on its victory on a night when we are hurt for this loss and feel for the people who came here and watched. It was a game in which we played not well at all in the third quarter; yes, in effort, but not in other aspects. With the penetrations by Abrines, we improved and we were up three points with 19 seconds left. The finish in regulation time has been strange: we wanted to foul, but we didn't. On the rebound, all our guys were inside and we made an error there, because they got a three-pointer. Our rivals tonight defended well, played physical and made things difficult for us. 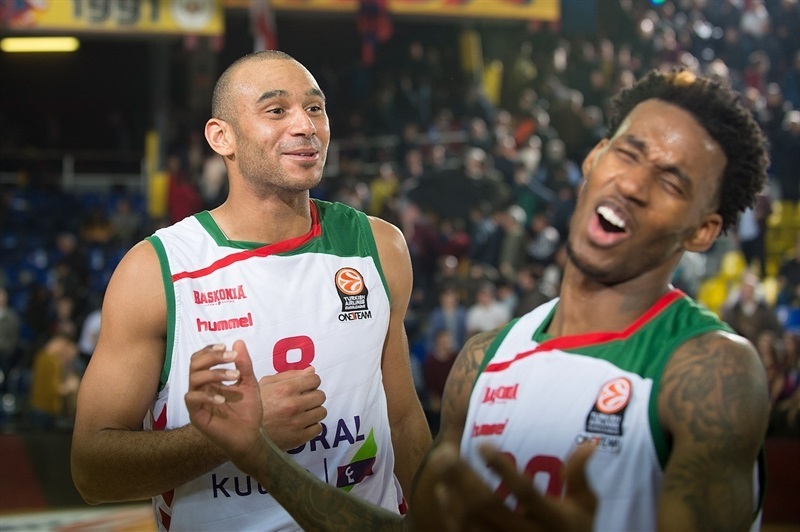 Despite that, many players didn't have their best nights and to win in the Euroleague you need many players at a good level, not just one or two. We have had a season without major errors, but the loss tonight is surely the biggest error of the season so far." For us, this is very important because we lost a home game against Olympiacos so now we are even. It was a very difficult game, Barcelona is a great team but I think in the second half we played very good... After losing against Olympiacos, we needed a strong win away from home to get back among the group of teams that aspire to make the playoffs. With this victory, we can think of fighting to qualify. It was a game with few points in the first two quarters. Barca played trying to slow us down, but we also defended well. Barca went ahead in the last minute, but we had sufficient courage to take it into overtime and win the game. The fact of winning on Barcelona's court makes this a valuable win, whether in overtime or not." "It was one of those great games that you love to play. Both teams have been at a very good level. It's been a tough game physically, we did good work, but were not able to take the victory. It's a shame. We have lost three overtime games this season and that's something that hurts. This overtime was a tough blow to our heads. We tried to rebound, but it wasn't possible. In overtime, our tiredness was evident. We didn't move the ball as well as in the fourth quarter, and that, together with Laboral raising their defensive pressure, affected us." "It's been a tough game. We never lost our composure, even when they hit some big shots. We committed some mistakes, but we had good energy." For us it’s a very big win. We worked really hard the last couple of days in practice to come here to win – not just against Barcelona. We want to go to the playoffs, but it’s not easy. You have to work hard and continue this way.